After threatening to force a special session of the Texas Legislature unless lawmakers approve a "bathroom bill" and property tax legislation, Lt. Gov Dan Patrick on Monday appeared to be unconvinced by the House's actions on the two issues. "I share Governor Abbott's concern about the lack of a rollback provision in Senate Bill 669 on property taxes," Patrick said in a statement about a property tax measure the House passed Saturday. Patrick, like Gov. Greg Abbott, had indicated he wanted the House to approve Senate Bill 2, to require local governments that want to raise property taxes by 5 percent or more to get voter approval, but that proposal stalled in the House. "There is still time for the House and Senate to address these concerns — which are both priorities for Texas voters — in a meaningful way," Patrick said. 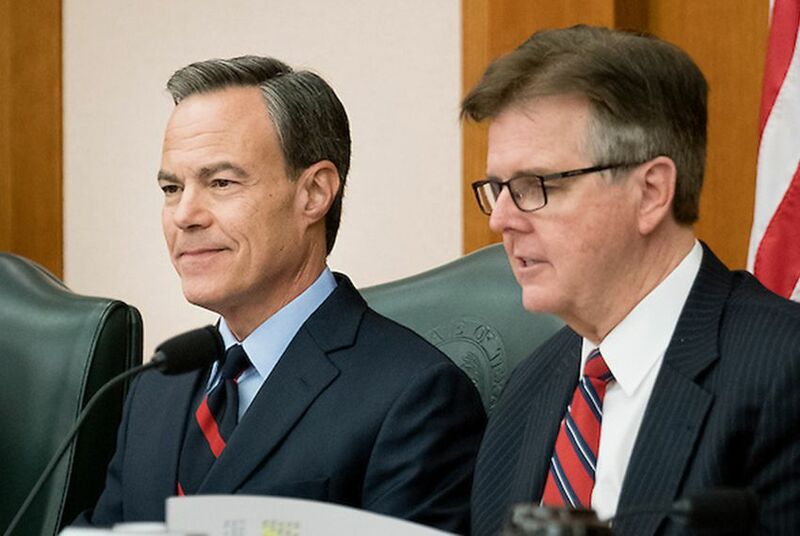 Throughout the session, Patrick and Straus have been at odds over what should be the Legislature's priorities. The lieutenant governor's statement comes after a weekend of House votes on the issues that have emerged as sticking points in his efforts to push for Abbott to call a special session. The regular legislative session ends May 29. "Now it's really time for the Senate to take care of the many House priorities that they know they've been sitting on," Straus said in a statement Monday evening. "We'll just have to see what happens."